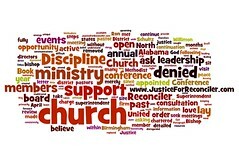 We continue to serve at Church of the Reconciler despite the disenfranchisement of our leadership. 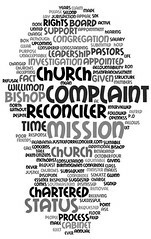 We feel called to this ministry and are passionate about it, and we ask the broader community to continue supporting the church as well. Please come to our annual fundraising banquet. Please send contributions. We cannot allow the homeless community to suffer because of the abuse of power in the very church that is called to serve them. Despite the brokenness and confusion, we continue to seek justice, speak truth to power, and serve the least of these. We ask you to join with us and do so as well. May 1, 2012. We welcome our fifth senior pastor in a 13-month period. When Matt Lacey became the fifth senior pastor of Church of the Reconciler in a 13-month period, the newly appointed board of directors was made public. Of the eight people on the board, only three were members of Church of the Reconciler. Two of those three had been members for less than a year. In an intentionally multicultural, multiracial church, only one of the eight members is African American.